BBC Philharmonic in Tchaikovsky: Oxana's Caprices Overture. Ravel: Piano Concerto in D. Gruber: Rough Music. Delius: Suite. Pierne: Scherzo-caprice. Plus BBC SSO in Shostakovich. 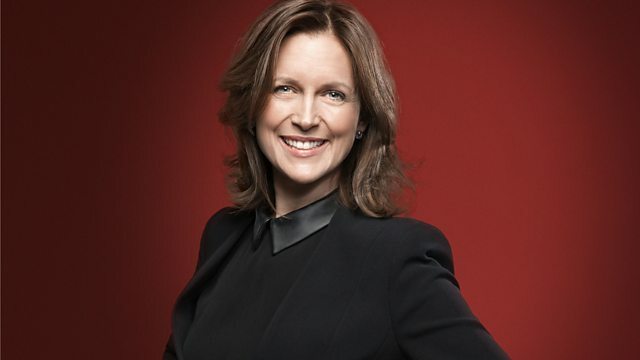 Verity Sharp ends this week's look at the BBC Philharmonic with a programme that includes music by Tchaikovsky and Ravel, and Tasmin Little joins them in a rarely heard piece by Delius. Plus Shostakovich's Tenth Symphony performed by the BBC Scottish Symphony Orchestra - one of this year's Ten Pieces for Secondary Schools. Orchestra: BBC Scottish Symphony Orchestra. Performer: Donald Runnicles. Performer: BBC Philharmonic. Conductor: Yutaka Sado. Performer: Martin Roscoe. Orchestra: BBC Philharmonic. Conductor: Yutaka Sado. Performer: Tasmin Little. Orchestra: BBC Philharmonic. Performer: Sir Andrew Davis. Performer: Jean-Efflam Bavouzet. Orchestra: BBC Philharmonic. Performer: Juanjo Mena. Apres un Reve: Sandrine Piau, Susan Manoff.